Jay-Z and wife Beyonce, wearing a monochrome shorts suit, are greeted by photographers as they leave their Paris hotel. Beyonce is currently accompanying husband Jay-Z as he continues his Watch the Throne tour in Paris. 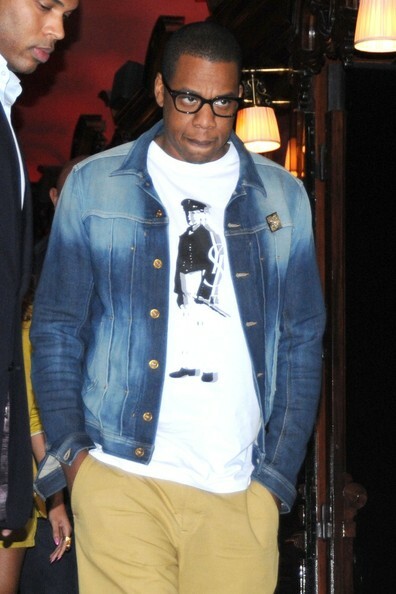 Jay-Z stayed comfortable and casual in his Yves Saint Laurent t-shirt while out and about in Paris.